Advertising does not need another graduate! Whether you are an aspiring advertising creative, designer, account manager, PR / publicity consultant or marketing manager, Advertising is an engaging source of inspiration for those dark, idea-less days and a motivator when those job interviews or placements seem in short supply. Its Companion Website at: www.routledge.com/textbooks/advertising supports the book with further examples and ideas to inspire as well as offering up-to-date advice. 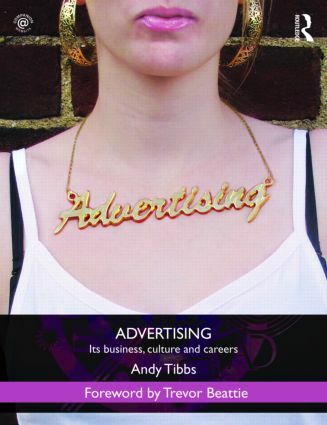 This book is filled with numerous visual examples of advertising thinking. With words of advice and guidance from some of the industry’s most respected practitioners and insights from graduates who faced the same challenges you will soon encounter in securing that elusive first job. Add to that, an extensive supply of hints and tips to enhance the creative thinking processes, take the work you do beyond what you think you are capable of and, crucially, gain an edge at job interviews. Maybe advertising doesn’t need another graduate, but then you won’t be just another graduate will you? Does advertising need another graduate? Is creativity in your DNA?